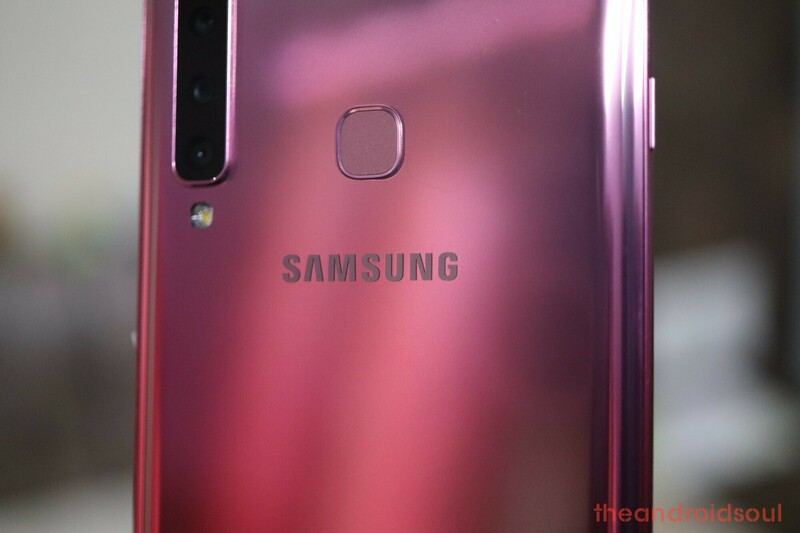 Samsung recently outed its official roadmap with respect to Android 9 Pie rollout to eligible devices and high on the list after the Galaxy Note and S series is the Galaxy A family. Soon after making this list official, the Wi-Fi Alliance cleared a bunch of Galaxy A8 and A9 handsets with Pie on board, suggesting that the update had been given an OK.
Now, today, we have even more evidence adding more weight to the expected April 2019 release date for the Galaxy A9 2018 Pie update. 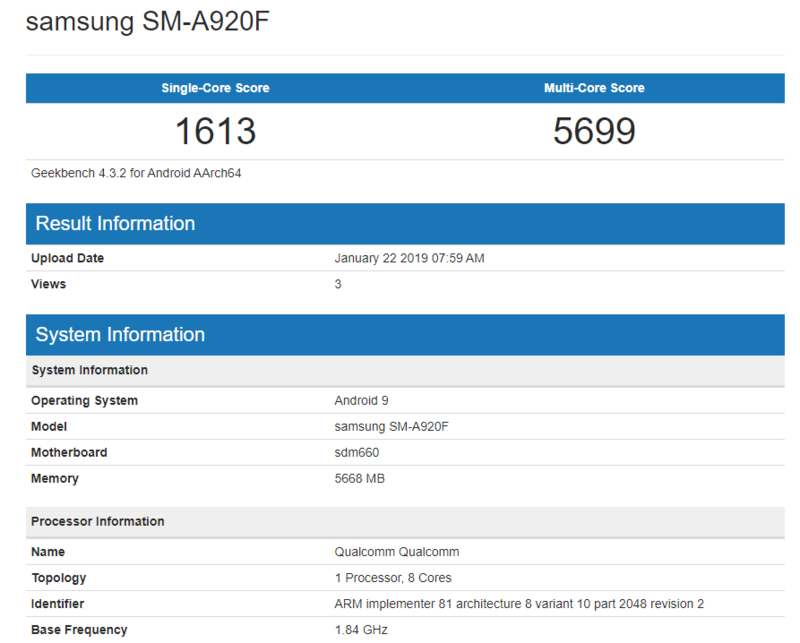 A listing of the A9 2018 on Geekbench running Pie suggests that the device has already entered the testing phase. From the performance scores (1613 for single-core and 5699 for multi-core), we can assume that things are on track with only a few optimizations left here and there. However, even Samsung itself doesn’t have a specific release date in mind, so we won’t pretend that we know more. So far, only the Galaxy S9, S9+ and Galaxy Note 9 have successfully switched to the stable version of Android 9 Pie with One UI. More devices are expected to join the party this coming month beginning with the Note 8 and later on the S8 and S8+ will get the update in March 2019. It is after the S8 and S8+ get the Pie update that attention will turn to the Galaxy A9 2018, that is, in April 2019. There is still a long way to go.